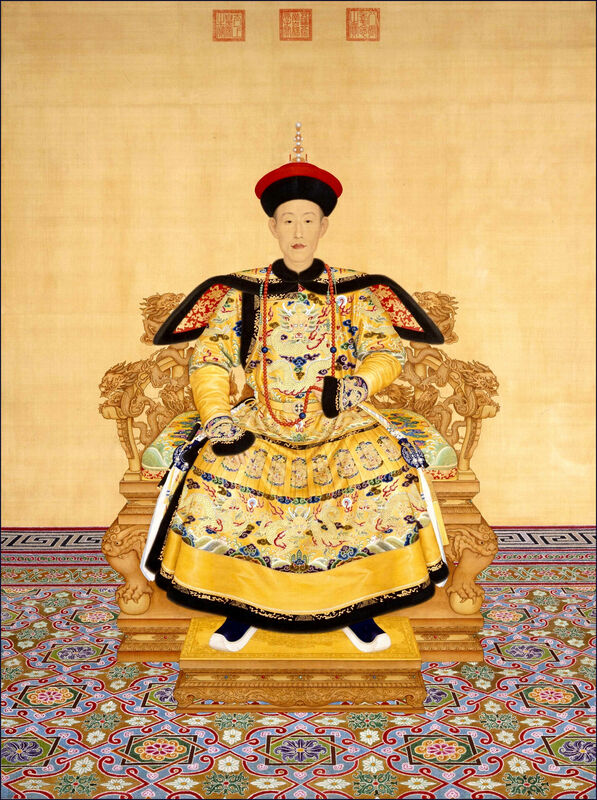 The Qing dynasty (1644–1912) was the last imperial dynasty of China. It was officially founded in 1636 in what is now Northeast China,. The dynasty had been successful in most respects and was wealthy, relatively stable and feeling secure within the confines of the Middle Kingdom and beyond. 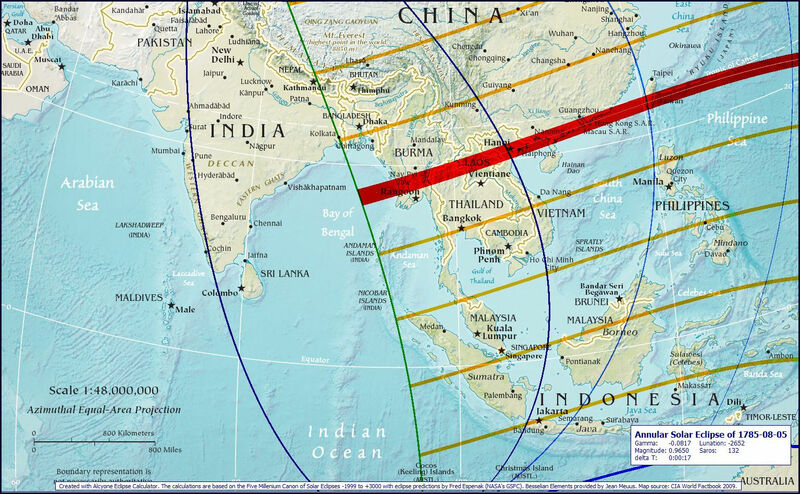 On 08 August 1775, there was an impressive Annular Solar Eclipse, the path of which was easily seen in Southern China, Hong Kong and Macau, then continued across Vietnam on its way to the eastern regions of the Bay of Bengal. Probably the most striking feature was its relatively long duration, estimated to be more than 4 mins. If we look towards 1779, four years later, there were momentous events which are some of the most remarkable in military history. Moreover, what happened is sometimes compared to the Tet offensive in the Viet Nam War of the 1960s and early 1970s. While they are not by any means identical, the similarities between the two events, separated by nearly 170 years, are striking. The Tet offensive on January 30, 1968, was launched by combatants of the Viet Cong and North Vietnamese People’s Army of Vietnam directed at the South Vietnamese Army, the United States Armed Forces, and their allies. It was a campaign of surprise attacks against military and civilian command and control centres throughout South Vietnam. The name of the offensive comes from the Tết holiday, the Vietnamese New Year when the initial large-scale attacks took place. 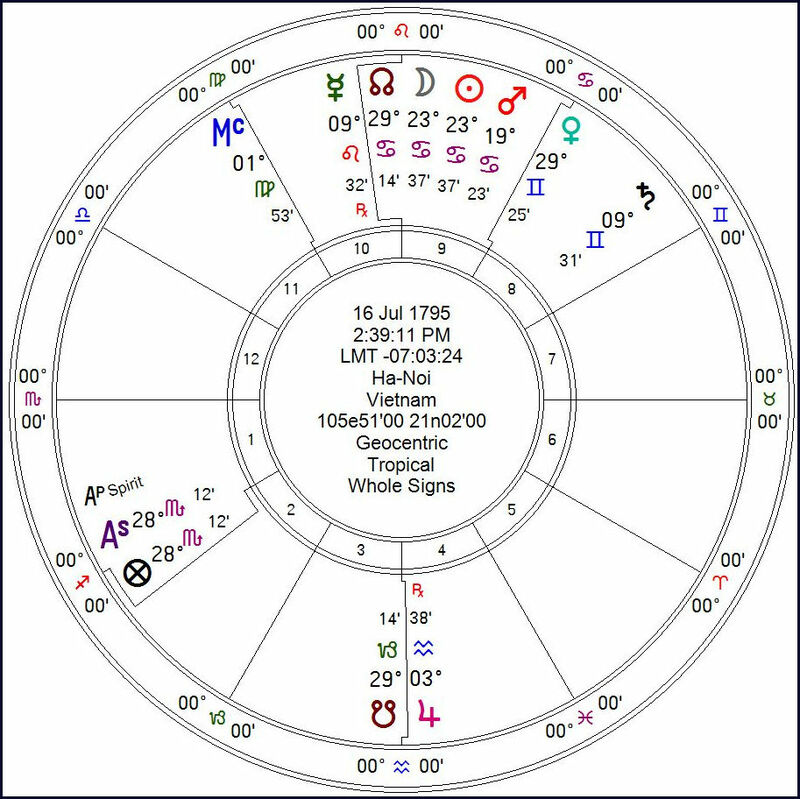 In part, this article follows a conversation with a fellow traditional astrologer, regarding the validity of the expected range of influence derived by the length of the eclipse itself. Here, we would expect some sign that eclipse was indeed a portent of a given event or not. Let’s examine the details of the eclipse. It passes over very few countries, over the open Pacific Ocean, until it hits Taiwan, Hong Kong and South China. It then passes over Hanoi. Mundane astrologers sometimes use the astrological chart either of the dates of foundation for the city or else the quality assigned to a region by Classical sources. 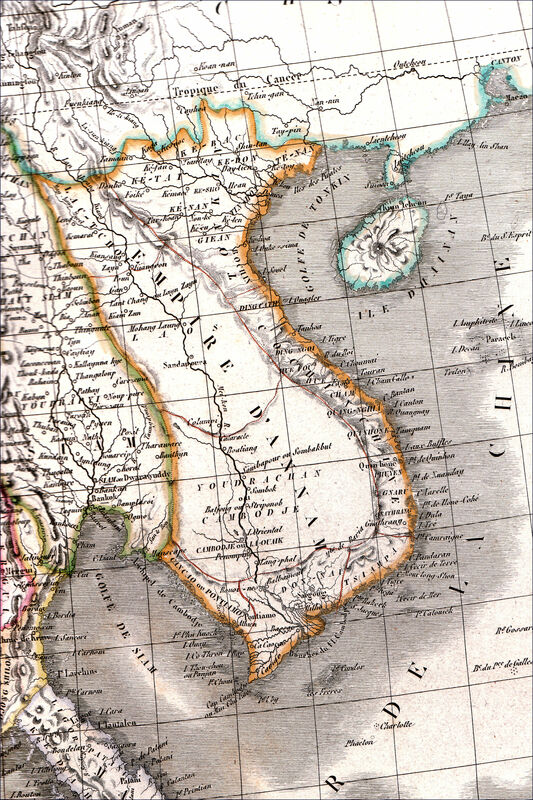 We don’t have any Western sources for historical Hanoi or North Viet Nam. What we are given is a variety of dates based on modern occurrences, such as political events. Clearly, this would be useless when considering the Vietnam of the late 18th century. I chanced upon a Vedic source which looks to be promising and the author states that North Vietnam/Hanoi is under Aquarius/Shatbhisa and China is under Taurus/Kritika. You can find the complete list and the explanation of how the signs are derived at Rta Swar (ॠत_स्वर) Let’s proceed with this in mind and see how it plays out in a major conflict with China. The chart is for the Hour of Mars and the Day of Jupiter. The Sun is in his Joy in the 9th House. The charts Almuten is the Moon in Cancer. The first clue is that Taurus (China) is in the 7th House of open enemies and the Lord of Taurus is in the 8th House of Death in a Mercurial Sign with Saturn. From this alone, we can see the potential threat to the established order Vietnam may be interpreted by the MC in Virgo. Jupiter is Lord of the Ascendant in a weak sign and retrogrades in the 4th House. opposing Venusian Taurus. The symbolism of the empty house is hard to ignore, even if there is no precise astrological consideration that covers this situation. 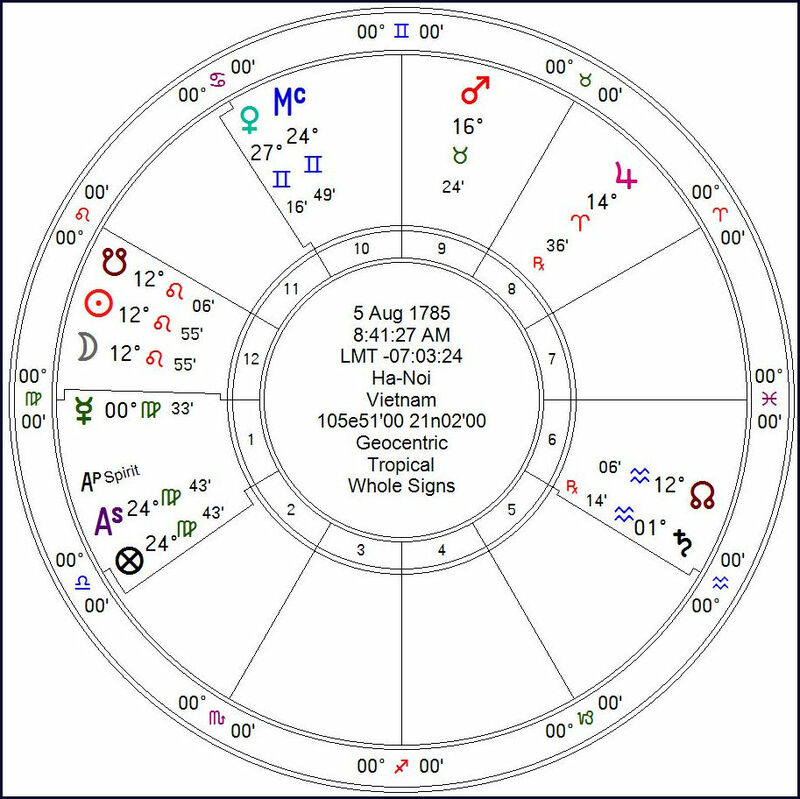 The Lord of the Ascendant is in his Fall in Cancer and the string of the eclipse planets in the Ninth House is a heady mix. “In the middle of the night on January 25, Quang Trung’s force took the outpost at Son Nam in Nam Dinh province defended by the Le king’s followers, who had been celebrating the New Year. It then rapidly seized one after another of the forts defending access to the capital. On the third day of Tet, January 28, the Tay Son surrounded the important post of Ha Hoi, some 20 kilometres southwest of the capital. Caught off guard, the Chinese defenders there surrendered with their arms and supplies.” (https://www.lonelyplanet.com/vietnam/history#72278). The Chinese forces must have been in a state of complete shock. The Vietnamese strengthened their defences using trenches, minefields, pit trap and bamboo stakes concealed by straw and anything else that would conceal the pits. This entry was posted in Eclipses, Traditional Astrology.